Is this the best filmed award acceptance speech of all time? 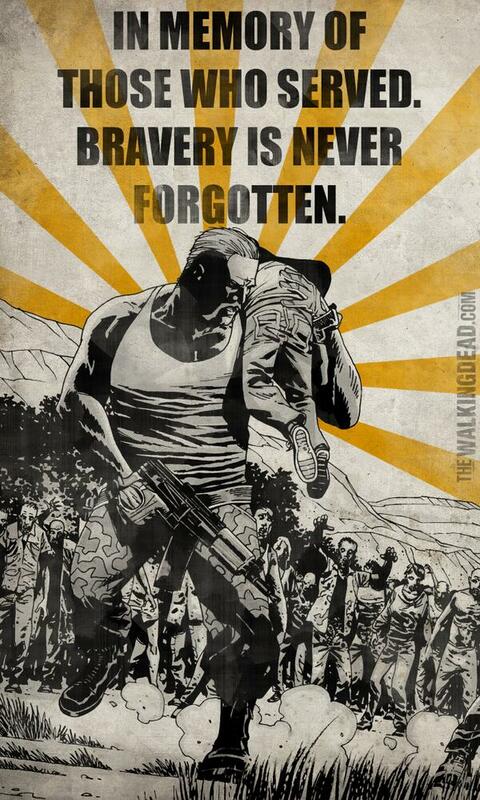 If you’re a The Walking Dead fan waiting for season five, it sure might seem like it. The acceptance speech starts with a little Daryl, Rick, and Abraham action, as they liberate The Walking Dead special effects guru/director/producer Greg Nicotero’s Saturn Award from some Walkers. It even gets used as an improvised weapon in the melee. After the award is handed off to Nicotero, his gratitude is heartfelt, talking about his journey from his Pittsburgh days with Tom Savini on Day of the Dead to his time on The Walking Dead. 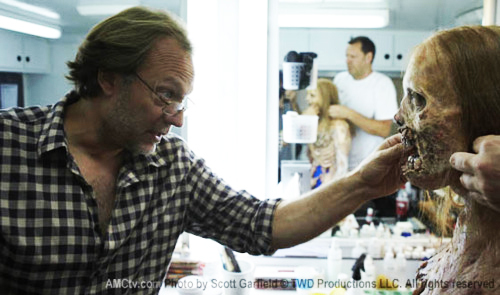 “I love that 25 years of doing this, I still feel the same way I felt when I walked on set,” Nicotero said. Nicotero’s award is the George Pal Memorial Award, named after the producer of seminal sci-fi films like The War of the Worlds. Also at the awards, held last week in Burbank, The Walking Dead won Best Syndicated/Cable Television Series, Best Supporting Actress in a Television Series for Melissa McBride’s work as Carol, and Best Perfomance by a Younger Actor in a Television series for Chandler Riggs’ work as Carl.